A few weeks ago I attend our monthly and heard a message that was life changing. Before I share it with you I want you to do one thing (just as I did before Pastor Debbie ministered). Write down three things you desperately want to happen in your life. ONLY 3!! No cheating please, lol. Pastor Debbie began by defining the word diligently. Random: have you noticed this seems to be the norm from public speakers of all types? Not that it’s a bad thing. I just noticed that folks will tell you what Webster has to say about a word. #Unfocused It means to observe/do/carefully do. 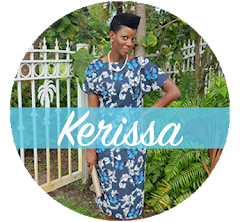 So the question posted that night to all the women in the room and to you as you read this is “What can you do to get things on your list accomplished?” You might say, “Kerissa, I am already doing everything I can especially praying.” This is where the rubber met the road. Many of us are doing more praying than we are taking action to see our dreams manifested. I have been. Pastor Debbie helped me realized heaven responds when earth takes action. We often put all the responsibility on God for the circumstances in our life than we do on ourselves. But ask yourself what vehicle will get you to your vision. Don’t put your dreams in the hands of others. Don’t be motionless. Don’t expect God to answer an un-prayed prayer. How can God perform, move, act on our behalf if HIS word doesn’t go out? We must speak it (HIS promises) and actively do the things that will move us into position. What role does diligence play? A major one if any of the 3 things on your list has been there for quite some time. Maybe you’ve desired a mate for years or a new job for the past 4 years. You’ve always wanted to be a homeowner. Whatever it is don’t look at your vision board as a wish list. See it as an opportunitiy to practice obedience to God’s word for the long journey no matter the timeframe until all His will + your plans are accomplished. 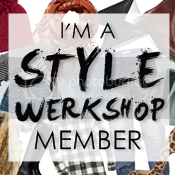 Yes to everything you wrote in this post! Faith without work is dead! Loving you orange pants! What a great find! Thank you all for overlooking my typos & tapping into the message of faith. I pray you stay the course until you reach the finish line! i love this post; it was right on time. i also love the outfit---pants and purse are my fav! Great message Lady K! Thanks for sharing and helping to inspire me. I love the pants! The color is gorgeous!